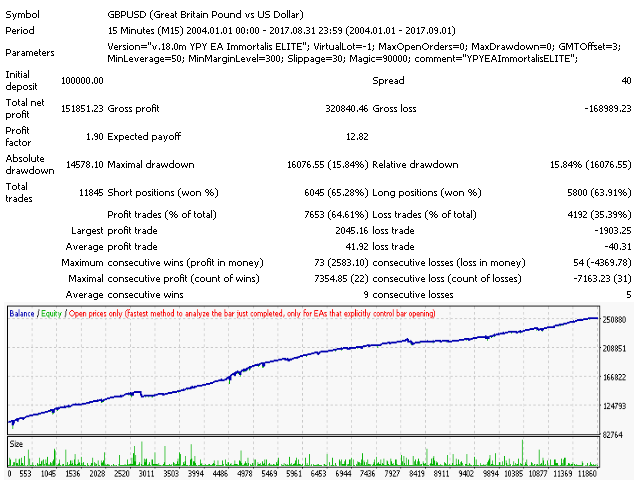 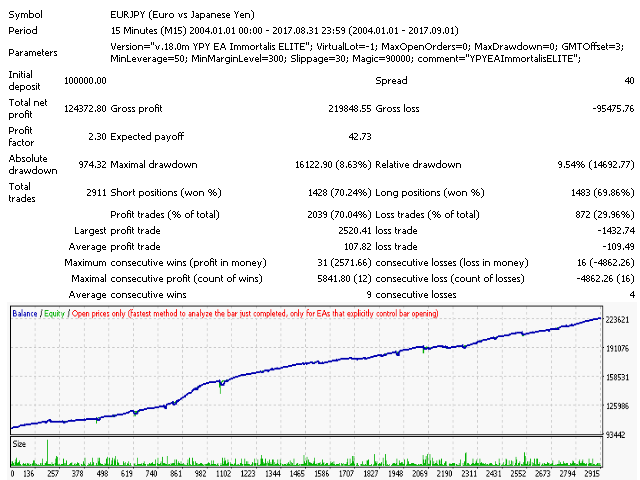 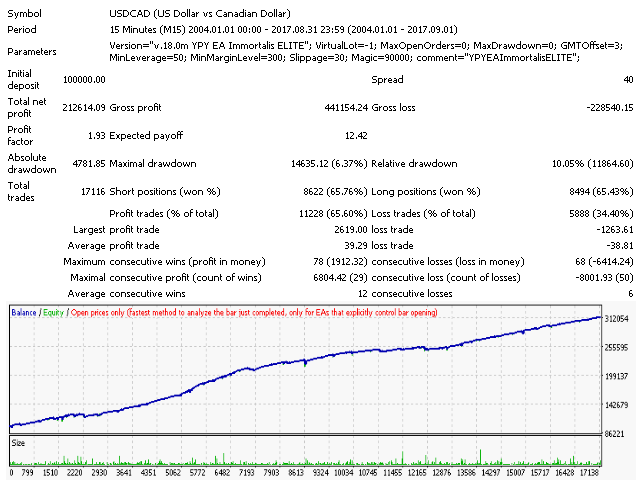 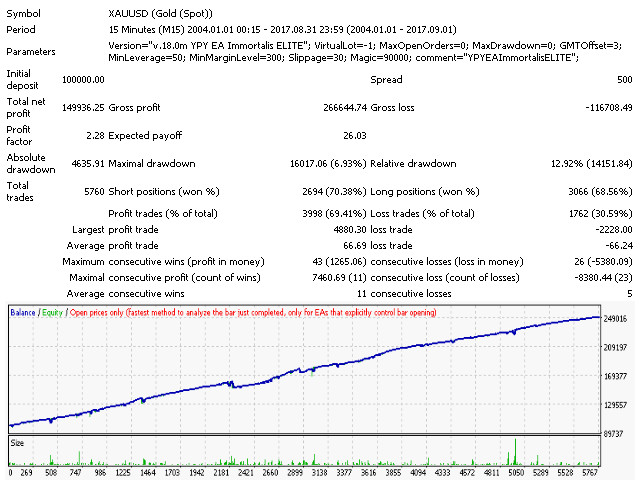 YPY EA Immortalis ELITE MT5 is a trading robot for efficient management of large capital (above $25K), which uses a complex of several thousand virtual strategies and performing automatic trading with real Take Profit and Stop Loss levels. 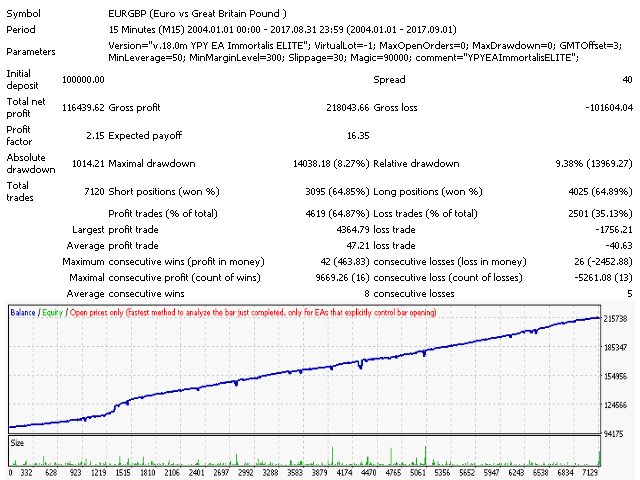 For diversification, the EA uses a portfolio of independent strategies, including trading in short-term and long-term trends, trading based on strong levels. 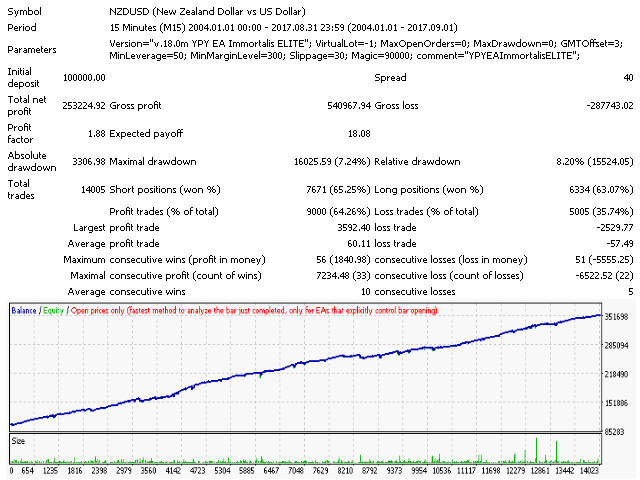 The EA trades all these strategies at a virtual scope, aggregating virtual orders into real orders opened on the account. 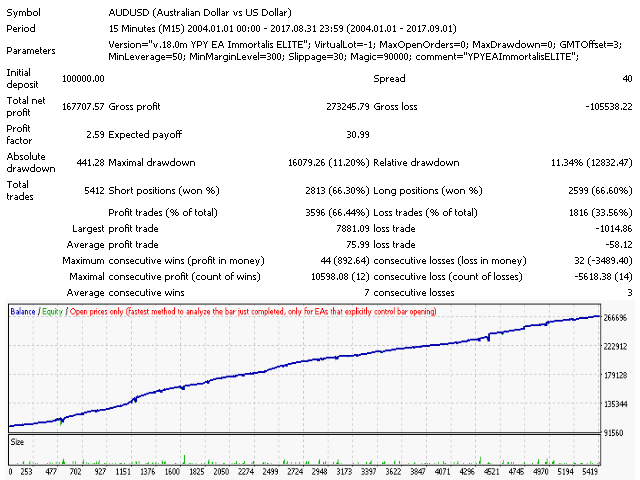 You can read about the aggregation in the blog. 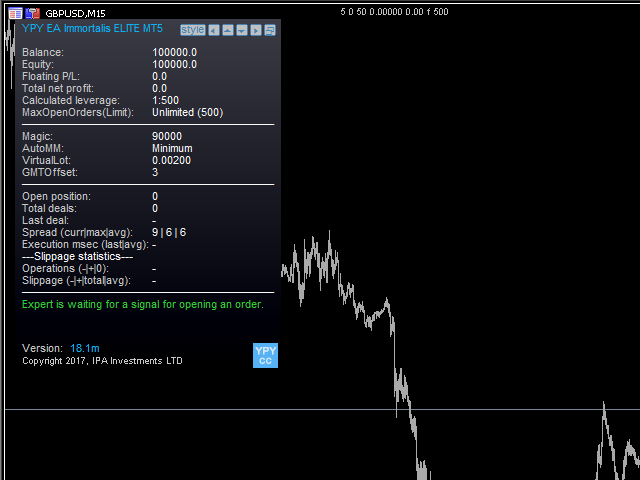 Closing the EA orders in any other way is prohibited, as well as the transfer of the EA to another terminal without the files it creates in the MQL5\Files folder. 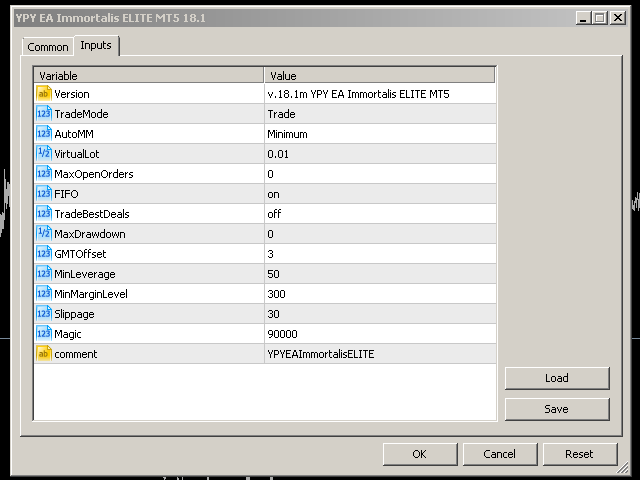 Fixed error that could appear in case of missing history data.